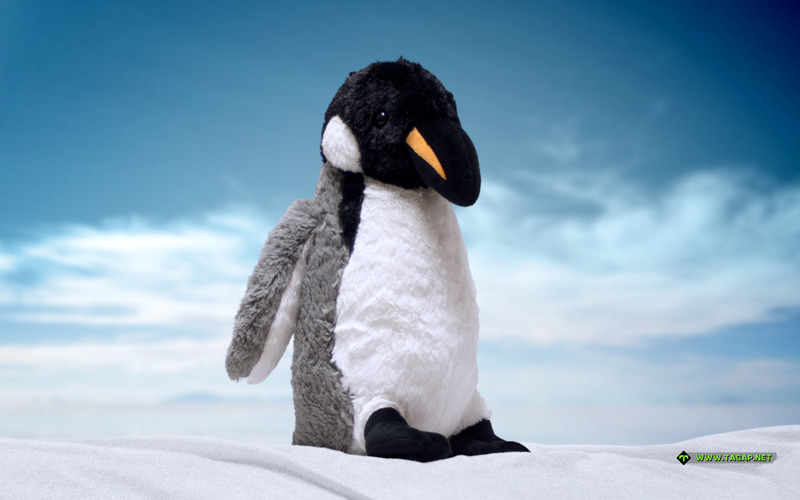 Surprise – a new penguin plushie wallpaper! No, sadly we haven't had the time for a new photo shoot. Instead, this is the last one from our previous photo session, accidentally stored into a wrong folder. Well, good thing I had to scrub and sort through my hard-drives in order clear space for all that uncompressed trailer footage! So, this straggler of a penguin plush toy comes to us courtesy of Lidl. Yup, this fluffy King Penguin was the 'Christmas penguin' – THE penguin toy to come to stores leading up to the holidays – of 2016. And this is a pretty tall one too, almost 50 cm in height.